It is very seldom that one meets a person, or in my case an artist, who changes the course of your life. Luckily I was a relatively young person when this happened to me with my life ahead – but without question the day I walked into the Fosse Gallery and saw the life enhancing paintings of Ursula McCannell casually propped up against the wall was unforgettable. I had an immediate and overwhelming response to them and I knew somehow I had to have a piece. I was in my early twenties and borrowed the money in order to buy a major painting. Goodness only knows what my friends and family thought as I hung this beautiful and very grown up painting of a woman sitting in a mysterious landscape with two children by her side in my small sitting room. Everyone was busy investing in interlined curtains and the such – but there you go … I had something that simply spoke to my heart. Through my association with the Fosse I was able to become close friends with Ursula – often visiting her in Ewshot where she lived and I have had the good fortune to stage many solo exhibitions of her work here over the years. Ursula died at 92 years of age early on in 2015. Ursula was a remarkable woman. 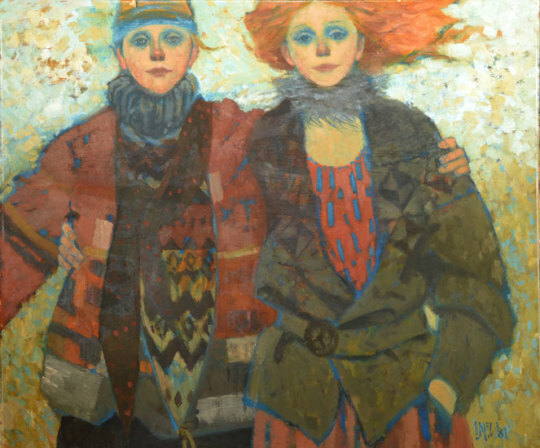 She exhibited at the Royal Academy at 14 years of age and staged her first solo exhibition on Cork Street at the Redfern Gallery at 16. A true artist in every sense of the word. It is now my heartfelt pleasure to have this exhibition here at Fosse of the late Ursula McCannell opening on Sunday the 8th May. 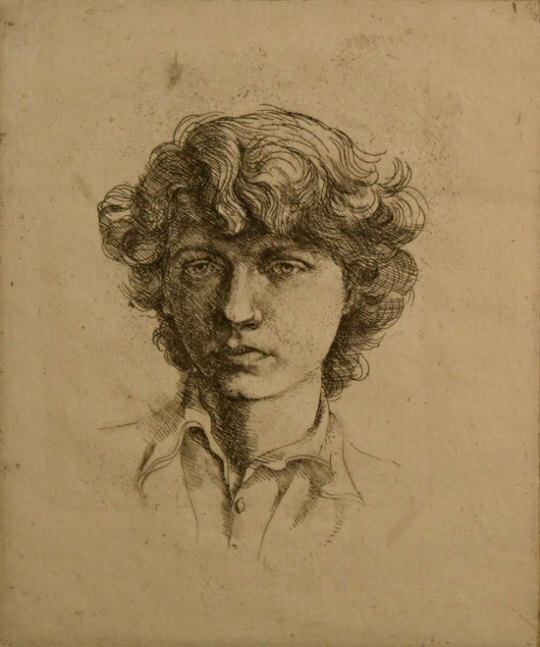 There will be 32 oils, some early drawings dating back to 1940, a limited edition Self Portrait c 1942 etching, a bronze head of a singer and a Portland stone sculptor of a young woman. I know that the gallery will not be passing this way again so to speak – so an opportunity to acquire for some and also a chance to enjoy this wonderful collection finishing on Sat 28th May. Private View: Sunday 8th May, 11am – 4pm. The Exhibition continues until Saturday 28th May.